U.S. Rep. Michele Bachmann, vying for a leadership position in the new Republican-controlled Congress, was given a new spot on the House Intelligence Committee on Friday. The Stillwater Republican will be the first Minnesotan on the intelligence panel since U.S. Rep. Collin Peterson, a Democrat who served on the committee earlier in the decade. (Although Rep. John Kline, R-Minn., served briefly in 2009). Bachmann was thought to be seeking a post on the tax-writing Ways and Means Committee. Her omission from that panel has angered some Tea Party activists, especially in light of her unsuccessful bid for the House Republican Conference chairmanship. 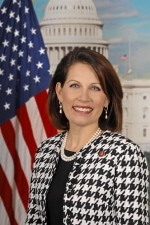 Nevertheless, Bachmann expressed gratitude at the assignment, which was announced by incoming House Speaker John Boehner, Republican of Ohio. Bachmann also serves on the Financial Services Committee.